Hear the music, Summer is here! National Summer Cello Institute and Feldenkrais for All Performers begins today! And the 7th season of the Caroga Lake Music Festival is upon us! We’ve rounded up the news for the first few concerts in this Caroga Concert Bulletin, and we’ll repeat every two weeks all summer. 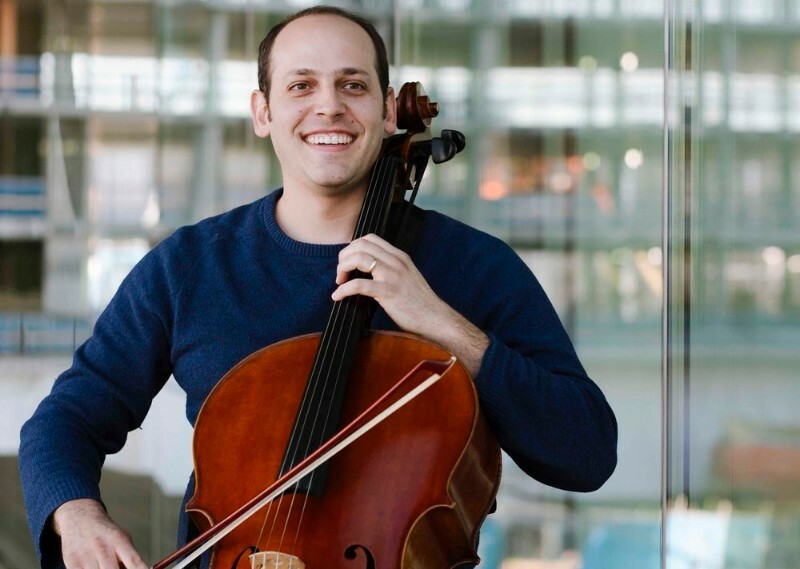 First up: National Summer Cello Institute presents cellist Mike Block in concert – Free! Back by popular demand! Mike Block, the cellist from Yo-Yo Ma’s Silk Road Ensemble, performs with fellows from the National Summer Cello Institute and Feldenkrais for All Performers Workshop. The National Summer Cello Institute (NSCI) is a two-week intensive workshop combining the principles of somatic education with varied approaches to cello mastery designed to redefine how cellists perform and teach. The one-week Feldenkrais for All Performers Workshop teaches body awareness, a technique that has proven to be highly effective in alleviating pain, anxiety, and movement difficulties. The purpose of the NSCI and Feldenkrais workshops is to help musicians become aware of the intimate relationship between the way that they use their body and the music that they create. NSCI participants experience an introduction to Feldenkrais with fellow musicians, artists, and dancers and continue in private lessons, master classes and seminars dedicated to expanding artistic freedom. Both workshops originated at the University of Wisconsin-Madison by Uri Vardi, professor of cello at the university. Kyle Price, Caroga Lake Music Festival founder, attended these and subsequently earned a doctoral degree from UW-Madison. He recommends them highly! Featuring twenty five top cellists from across the country in a “cello choir concert,” a culmination of two weeks studying with renowned faculty from The Juilliard School, the Eastman School of Music, University of Wisconsin-Madison and the Berklee College of Music. Directed by CLMF’s Deborah Barrett Price and Uri Vardi, professor of cello at UW-Madison. Sawyer Fredericks, the “musical pride” of Glen, New York, who won “The Voice” television singing competition in 2015 when he was 15 years old, will perform at Sherman’s Amusement Park on June 8. This event is free, however, tickets are required for admission. Get your tickets before they run out!Tickets are available for pick up from sponsoring locations or online at Eventbrite. Limited to 4 tickets per person. VIP Pass – Support live music in Caroga Lake and meet Sawyer Fredericks! Email info@carogaarts.org to reserve your VIP pass now! All proceeds and donations support Caroga Arts’ free programming to help revitalize life, culture and business in Caroga Lake through concerts, educational outreaches and events for the community. Read about our entire season!